The Fretless is a new approach to folk music that is quickly gaining high acclaim around the world. 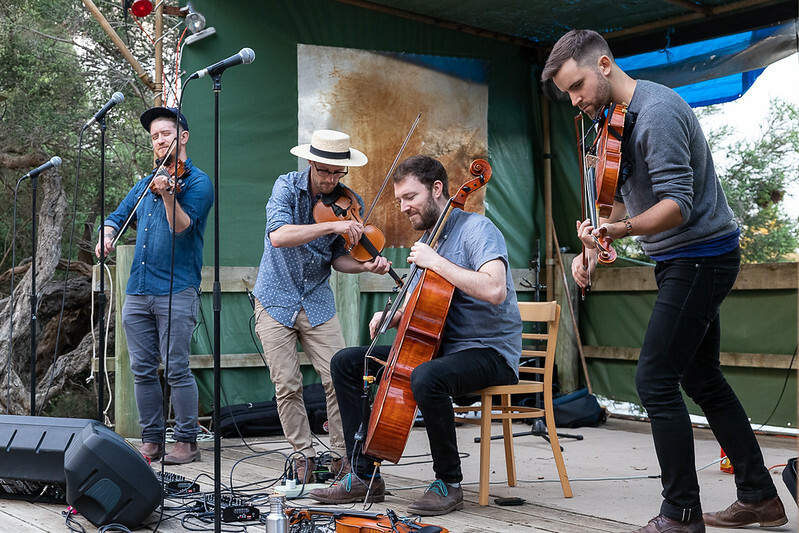 This unique band is taking string music to fascinating places as it transforms fiddle tunes and folk melodies into intricate, beautiful, high-energy arrangements. They played a gig at the gorgeous Minya Winery amphitheatre, near Torquay, as part of the "Minya by Moonlight" concert series.